No franchise royalties and no growth stunting territory restrictions. We help seniors stay in their homes. Is Owning A Home Care Business Right For Me? Do you have a passion for helping others? Would you like to help seniors stay in their homes vs. going to a nursing home? If you answered yes to both these questions the home care industry and AHI Group could be a great fit for you! The U.S. population of those aged 65 or older was 35 million in 2010. By 2030 that number will grow to 70 million and continue to increase until 2045. Most adult children live hundreds of miles away from their parents, which makes providing care to their parents a challenge. The US Bureau of Labor named the Senior Care Industry as having three out of the top 10 job growth markets through to 2025. The Veterans Administration recently opened their Pension Benefit up to millions more seniors nationwide to help them qualify for funds to pay for their care expenses. What Does AHI Group Do? StartupHomeCare is the business development and training arm of AHI Group, Inc. www.ahi-group.com. AHI Group is a nationwide membership organization of 300+ independently owned non-medical home care agencies that specialize in providing personal care services to seniors in their homes (or chosen place of residence) to help them avoid going to a nursing home. Click Here to download our printable 4-page brochure that discusses the highlights of what we do. Also, to see a list of questions that people typically ask us and our responses to those questions – see our “FAQ Page”. A royalty that takes a third of your income and being restricted to a small territory – today’s franchises take a lot from their franchisees. Franchisers are motivated to help their franchisees grow as they impose an across the board royalty on all revenue each franchisee makes. The franchise royalty usually works out to be 1/3 of the franchisee’s take home income. In addition, franchisees are restricted to providing their services within a small predesignated territory. What if their newly purchased territory is not so lucrative? Franchisees are forced to purchase another neighboring territory –assuming one is still open. Further expansion of a franchisees footprint always comes with additional territory purchase fees and restrictions. We are sometimes asked by those who have talked to a franchise how our AHI Group agencies will beat out the franchises who are already “embedded in their local community?” Our response is to encourage these individuals to go to a hospital or other healthcare facility in their local community and ask a discharge planner “could you recommend a home care agency to me?” What they typically find is that most of the discharge planners will refer them a home health company (for skilled RN care) and the ones that do understand the difference between non-medical and skilled home care will usually say “we don’t refer, we give out a list” and hand you a list of 5-10 home care agencies. If you look at that list you will see there may be some franchises listed on there but 1/2 of the home care agencies are usually not franchises (on average). So, franchises are certainly not the only group out there getting referrals from the healthcare community. The reason being that everyone knows that every home care agency (franchise or not) is owned by an individual and that person can be a good or not so good manager of their business. There are great franchise owners out there and terrible ones –and these case workers have been around long enough to know that. In addition, a recent large study showed that 89% of caregivers will switch home care agencies for an extra $2/hour. Those agencies paying the most attract the best caregivers. Franchisees are paying 1/3 of their take home income to their franchiser and have less to pay their caregivers. The end result is a franchise has to charge the client more if they want to compete with getting the best caregivers. The general public usually have no idea what the home care industry is all about–let alone know of a quality home care agency they can trust. The litmus test for this is to go and ask five of your neighbors this question: “Which home care agency would you recommend for my aging parent?” You will find some blank looks on their faces or scratching of heads. However, if you were to ask them: “Where can I find a good burger around here?” they would likely give you the name of a McDonald’s, or Burger King, etc. close to their area –because these are branded names in the food industry. In reality, there is no name branding in the home care industry. There is no free lunch for a franchise. Everyone must go out there and make it happen to get noticed in their community and stay on the noticed list. This is where it is very important to have something that sets you apart from the crowd. Our unique all in-house Veterans Pension Benefit Program is one thing that sets our AHI Group members apart from the crowd and we guarantee that you will beat out anyone else in your community if they are doing anything with Veterans Pension Benefits. Request access to our “Intro To Home Care Video” series to watch a video on how our VA Pension Benefit Program beats out any competition in that arena –hands down. AHI Group does not restrict its members to a small territory consisting of 250,000 people – like a franchise does. The average city has 10% seniors located within it. So, if one has a territory with 250,000 people that leaves 25,000 seniors in that community. On average, about 10% of seniors need assistance with activities of daily living. Therefore, that leaves 2,500 seniors who will need your services. Depending on the existing competition in your community, this may or may not be an issue. However, why take the chance of restricting yourself to such a small area when starting out? What if you get your foot in the door of a hospital or healthcare facility that is “outside” of your area and you are not able to get that same foot in the door in your own area right away? You are passing up massive amounts of potential revenue when you are not able to move where the business and your marketing efforts lead you. AHI Group wants you to have the best chance of success and so it does not restrict it’s member’s ability to market wherever they want. After all, we cannot stop every other home care organization out there moving into your “protected territory” – even if we were to restrict our other members from coming into your area. We believe it is better to allow the 1 or 2 potential other AHI Group members to have access to your area rather than restrict them that access and therefore have to restrict you and them to a territory that we cannot protect from all the other home care companies out there. Deciding where you want to market and being able to follow your leads – wherever they take you – with the constant backing of our coaching team will allow you the best opportunity to grow your business during that all important first year. Giving you the option to market wherever you get a “foothold” and having our seasoned coaches/support team behind you every step of the way will give you the edge needed to help ensure your success. It is important that you go into your local market place with both hands free and professional coaching/mentors behind you – as opposed to struggling with one hand tied behind your back due to a small territory or no solid support system. That’s what we call flexibility, innovative thinking, and unlimited revenue potential! Hiring quality caregivers can be a challenge for franchises in today’s market place because of two factors. First, franchises cannot pay their caregivers top dollar due to their franchise royalties eating up a third of their net profit. AHI Group members can take that 1/3 of their profit and give it to their caregivers who get paid in the top 20% of wages in their area. By paying in the top 20% of wages, AHI Group members can attract the most quality and qualified caregivers in their area. This leads to less administrative time spent managing low quality staff – which results in happier clients – due to the quality care they receive from the most competent caregivers. Second, franchises offer a lack of career advancement tools for their caregivers. Through our relationship with the Association of Care Services at Home, our members get a 75% discount on the cost of Certified Senior Care Aide® Certifications. Certifying one’s caregivers allows our AHI Group members to gain the “Excellence In Home Care® – Trusted Provider” certification at a 50% discount which helps them stand out from other agencies in their local community. Only 300+ AHI Group members have our proprietary tools. Compare to a consulting company who shares their tools with thousands of home care agencies. We give you the tools to win the high margin private pay business. We also get you access to insurance and government Medicaid programs that pay for elderly care. We are the only home care organization with an in-house Veterans Pension Benefit Program. We will help you beat out anyone else working with Veterans – guaranteed. We assign you a personal coach/mentor who has personally started and grown their own multi-million dollar home care agency. Learn from the best in class! Watch this five minute video story of one of our Five Million Dollar Club members (Greg) who joined AHI Group in 2012. With our membership system behind him every step of the way he achieved five million in annual revenue during 2017 and six million in 2018. Greg is located here in California – one of the most competitive senior care market places in the nation. Most all senior care professionals will agree that if you can be successful in California’s competitive senior care market place, you can be successful in any senior care market place across the nation. 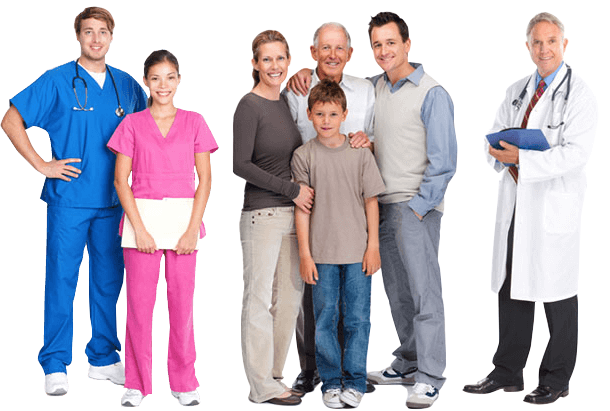 How are we different from a home care consultant company? Home Care Consultants share their tools with literally thousands of Home Care agencies leaving each with nothing unique as they compete against each other. Home care consultant companies will usually help you get a home care license in your state, give you 3-4 days of training, and say they provide “support” after you open your doors for business. Consultant tools and techniques are passed around to literally thousands of home care agencies. One of the large consulting companies state they have helped ‘3,000+ home care agencies’. This begs the question of how their clients set themselves apart from others (who have been trained by that same consulting company) when they are all using the same tools/techniques? Statistically, some cities will have 50+ home care agencies who are all using the same playbook they got from this consulting company – and all competing against each other. Having unique programs and tools is essential to stand out from the crowd and get in doors closed to others. AHI Group has 300+ members nationwide and has plans to grow to 500 over the next 4-5 years. AHI Group will then cap its membership enrollment and drive revenue via its all in-house Veterans Pension Benefit Program – with 500 agencies using it. You won’t have to worry about AHI Group giving out your playbook and tools to dozens of other home care agencies in your local area. Another downside of consultants is that they have no incentive to help you grow after you open your doors for business as they get paid up front and have no ongoing financial incentive to help you grow. This naturally equates to a lack of quality coaching and support during that all important first year in business. Most consultants, if asked, don’t have any idea what happens to their clients after they get done with their 3-4 day training seminars. AHI Group funds its ongoing coaching/support through its unique all in-house Veterans Pension Benefit Program. No other home care company has this capability in house and must send their Veteran Pension Benefit clients to an outside 3rd party for assistance. The 3rd party assists the Veterans get approved for the VA Pension Benefit, handles the billing, and coordinates their home care services. The 3rd party makes a profit from the services they provide. Instead of using this 3rd party, AHI Group developed an in house Veterans Pension Benefit Program that not only helps 70% more Veterans than the 3rd party is able to help, but provides the revenue AHI Group needs to fund the ongoing coaching/support of its members. Result: AHI Group members get the backing, coaching, and support system of a franchise but without paying a royalty on their income. In addition, AHI Group is motivated to help its members get more clients in its VA Program. It’s a win-win! Our advisers are always available to help you understand if AHI Group is right for you. Have a Lifetime Membership Fee of $12,500 for all our services. Won’t charge you a royalty or fees for our services after paying your membership. Will save you $3,000+ per month on back office costs. Have unlimited state home care license applications – so you can grow with no additional cost. Have unlimited Long Term Care Insurance and Medicaid Waiver applications at no extra cost. Get your Certified Senior Care Manager® Certification at no extra cost. AHI Group provides a smart and affordable alternative to purchasing a non-medical home care franchise. We provide the benefits of a franchise without taking a royalty on all your income and restricting you to a small territory. Our Lifetime Membership Fee is currently $12,500. Our Lifetime Membership Fee is currently $12,500. This fee includes all our services for the duration of the time you retain ownership in your business. This fee pays for all the things we do for our new members before they open their doors for business. i.e. Help create their legal entity (S-Corp/LLC), help them get a home care license in their state, get them trained via our 10 days of initial training, and get them ready to launch. Our members also need an additional $10,000 to $15,000 to pay for startup costs like insurance, office space, state license fees, etc. Financing is available for the entire $27,500 for those with credit scores of 710 or higher. Once launched, our members need constant hand holding and day to day support from people who have actually owned their own senior care business and grow it from zero to a multi-million dollar operation. Our members only get support from those who have actually done what we want each of our members to do. In order to pay for this type of talent to assist our members we need recurring revenue to pay for such. Instead of charging our members a 5-8% royalty on their gross revenue (which equates to a 1/3 of their take home profit), we brought a Veterans Pension Benefit Program in-house and that provides the ongoing revenue we need in order to pay for the support/mentoring services we provide ongoing to members. It’s a win-win! See the “Niche Veterans Program” section above for more information on how we cut out the middle-man and stopped outsourcing our VA Pension Benefit revenue to a 3rd party in St. Louis, MO (like other home care agencies still do) and brought that program and revenue in house. At AHI Group we know that finding the right people to join our exclusive Membership Organization is more important than finding people who have the most money. With 300+ members nationwide and a goal to grow to 500 over the next four years, we are always looking for people who fit our values and requirements for Membership. With that said, we encounter many individuals who are the right fit for us but don’t have a large amount of money up front to start their business. For this reason, we try to keep our up-front fee as low as possible and use the revenue we make from our VA Pension Benefit Program to make up the difference. For the previous six years our Membership Fee was $17,500. We were happily able to drop that to $12,500 due to an extremely good year with our Veterans Pension Benefit Program. We cannot say how long it will stay at the lower amount of $12,500 as that all depends on the revenue coming in from our VA Program. If we continue to see the same growth in our VA Program and our costs don’t increase up significantly due to wage and insurance increases then we will be able to keep our up-front fee at $12,500. If not, it will have to go up to the $17,500 again. We are financially motivated to help you grow. If you decide to purchase a franchise within 30 days of attending our Boot Camp, we will issue you a full refund of your membership fee. Please Send me the FREE 10 Questions To Ask During Your Due Diligence Document. Please also send me the FREE Intro To Home Care video series link and password. Most areas across the nation have a healthy deck of competition in the home care market place. AHI Group only considers about 20% of the competition ‘true competition’ as most home care companies out there are not marketing their businesses with anything that sets them apart from their competition. Telling referral sources and families you have “specialty Hospice or Alzheimer’s trained caregivers” is just going to make people yawn as everyone says things like that. During our 10 days of initial Boot Camp training, our founders (former multi-million dollar home care agency founders) will give you the secrets to their success in the most competitive senior care market place in the nation –Southern California. We won’t just tell you to “optimize your website for search engines” and make empty promises about getting you on page one of Google – which can take years – and only provides the top Google ranked home care businesses 10% of their referrals per year. We won’t lead to you believe that government Medicaid Waiver Programs (that pay net 120+ days, usually pay an average of $16 per hour, and have no guarantee of giving out any referrals) will be an amazing source of revenue. However, if it makes sense for you to contract with them we won’t charge you $2,500 per application to do that –that’s included for free with your Membership. You will get trained on our cutting-edge proprietary programs with a focus on the high margin, easy to bill, private pay arena. Our tools will set you apart from your local competition and get you in doors closed to others. Our proprietary tools/programs are not shared with thousands of other home care agencies. We give our members access to our corporate contracts with Long Term Care and Workers Compensation Insurance companies – to get referrals. We won’t charge you $2,000 to sign up – like other companies do. You get unlimited contract applications (of any type/program) included at no extra cost in your membership. Keep in mind –there is no guarantee an insurance company will give a home care business referrals – you still have to market to them and set yourself apart from your local competition. This is where AHI Group excels with its unique and proprietary programs that get its members into doors closed to others. Your assigned coach, who has owned their own large home care business, will be your day to day guide to help you over the hurdles you will encounter when marketing your business. Your seasoned coach will give you the guidance you need on the ground to impress your potential referral sources and beat out your local competition. There are 15 million elderly people who can qualify for a VA Pension Benefit across the nation and only 3% have it today. The possibilities are endless to help our honorable elderly Veterans and their spouses get the funding they need to pay for care services that enable them to stay independent in their homes for as long as possible. Most all home care agencies who want to help their clients get the VA Pension Benefitseek the help of a 3rd party based in St. Louis, MO. The 3rd party makes a profit from the services they provide to the home care agency and their Veteran clients. Instead of padding a 3rd party’s pockets with revenue, AHI Group decided to cut out the middle-man” and developed its own in-house Veterans Benefit Program. AHI Group is the only Home Care Organization in the nation that has an In-House Veterans Pension Benefit Program. Our In-House Veterans Pension Benefit Program can’t be beat. AHI Group’s unique in-house program has an interest free, no fees, care loan the family can use to pay for their care while they wait for their benefit to get approved (usually 3-5 months). Once approved, the VA will send the family their benefit money which they then use to pay back their care loan. The care loan allows us to help 70% more Veterans (and their spouses) vs. the 3rd party company that doesn’t have a care loan. People don’t want to pay out of pocket for their care if they don’t have to. Evidence of our VA Program’s competitive advantage can be found in a national home care franchisees VA Benefit Brochure (see bottom right of the brochure) click here. They state in their brochure that their VA Pension Benefit clients get a maximum of 60, 50, 30 hours of care per month for each care scenario (Couple, Single Veteran, or Surviving Spouse –respectively). Our AHI Group members can provide (on average) around 80, 70, 45 hours of care per month for each scenario. Which home care agency do you think a client is going to choose if both approach them and explain there is a VA Pension benefit that can be used to pay for home care services? Our members will always beat any other competitor when it comes to helping Veterans –as we provide an interest free care loan and always provide more hours of care. The margins in the Veterans Pension Program equate to $6,400 take home owners’ profit for each part-time client you are providing care for. Ninety part-time clients equal $575,000 in owners take home income per year. We won’t tell you that we have a “Veterans Referral Program” and make you believe that we have a pipeline of Veterans just waiting to start care services with your new home care agency. Be wary of anyone claiming to be able to “send you Veterans who want to apply for VA Pension Benefits” –there is no such pipeline anywhere. Our members have been featured on both radio and TV in their local communities as they go out and use our tools to educate their communities about the pension benefit. The education/marketing becomes a self made pipeline of Veteran Referrals for our members in their local communities. Included in AHI Group’s Lifetime Membership Fee is unlimited daily coaching/support from our team of former successful home care business owners. Each member is assigned a personal coach who will assist them grow their business day to day. We realize that our 10 days of initial “Boot Camp Training” can only take us so far and you will need help with situations as they occur on the ground day to day. In addition, you will need to stay focused, motivated, and moving in the right direction. Your assigned coach will help you do all of these things. We also give you access to weekly sales and mastermind calls with other members of AHI Group where you can hear how they have effectively implemented AHI Group proprietary/niche programs and overcome their challenges. These calls are all moderated by AHI Group coaches to ensure that our new members aren’t leading other new members in the wrong direction. What will you say to a discharge planner at a hospital that says, “We don’t recommend home care agencies to any patients.” How will you get referrals from that discharge planner now? What if the client has a G-Tube, or a catheter, what are you legally allowed to do with those devices? What if the client has shaky hands and can’t hold a dixie cup to give themselves medication pills – what can you legally do to help them? What if the client has bed sores – what can you do/not do to assist them? How will you set yourself apart from the other home care agencies in your area that have been in business for five years already? What will you do if a discharge planner at a skilled nursing facility, VA hospital, long term care insurance company, or government Medicaid Waiver program says, “We are super happy with the four home care agencies we have been referring to for the last three years as they handle all our difficult cases super well, they have well trained caregivers, and they have great specialty training in hospice and Alzheimer’s – so we are not looking for anyone else right now – but thanks for coming in though!” What will you say next? Without having a seasoned coach/mentor to discuss the situations that occur each day – you will have a difficult time figuring out how to handle each situation and could end up getting a ‘black eye’ in your community before you ever get off the ground.